When you buy or rent your uniform with Tibard you can rely on our quality service and affordable prices to delivery you the best workwear. A unique workwear solution for businesses in Dundee and Fife, Tibard provides a number of uniform solution for companies just like yours. As you’ll see on our website Tibard sells an extensive range of garments that work for your industry, from affordable bulk items to high-level bespoke designs currently available for business. 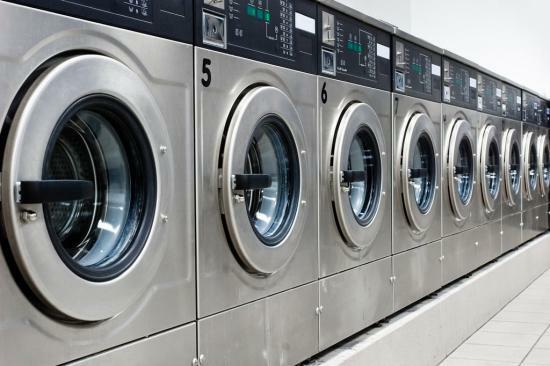 Furthermore, we also offer a range of other uniform-related services including commercial laundry and rental services for your business in Fife and Dundee. We work with some of the biggest names in the hospitality industry; the Tibard name is now synonymous with integrity, reliability and value for money. For over thirty years Tibard has provided excellent uniform solutions to a range of businesses in Dundee. However we don’t just sell uniforms online, we also provide a commercial laundry service, rental uniform services and uniform embroidery to businesses in Dundee. Providing workwear solutions and quality garments to our customers throughout Dundee, Ninewells, Broughty and Eastern Scotland, we’re proud of every single order and the quality of the uniform we provide. We also offer bulk discounts for large orders purchased through our website and can offer bespoke designs should you require something particularly unique from your uniform. Tibard offers quality embroidery services for a range of items currently available on our website. Embroidery and personalisation of uniforms is a great way to add a professional look to your business. Branding a uniform whether that’s a chef jacket or a polo shirt allows you to be easily identifiable as a business and provides a professional cohesiveness throughout the entirety of your working staff. On the opposing end of the scale, we have a range of rental services to businesses in Dundee and Fife can get high-quality uniforms for a short period of time and help keep costs down. Back in 1979 when Tibard started, we invested our time and expertise into creating beautiful chef jackets, and we’re still incredibly proud to be making these chef jackets today as well. Manufacturing chefswear has given us a unique insight into the hospitality industry and the needs you require for a uniform. We provide uniforms to a multitude of businesses in Dundee including hotels, restaurants and holiday parks throughout the area. A quality uniform really makes a difference in the hospitality industry, and we have a variety of workwear options for a variety of roles. Providing a diverse range of services to many businesses in Dundee and Scotland. Tibard is committed to offering our customers the best range of services possible. If you require a uniform for a short amount of time then you may be interested in our rental services or we also work with some of the best commercial laundry businesses to ensure your uniform is kept in the best condition possible. We also offer highly specialised bespoke uniform design and manufacturing so you can have the same high-quality Tibard garments but made specifically for you and your business.